The lifestyle brand Ethos Vapors was founded in 2014. Ethos Vapors has created its own path, focusing on uniqueness and innovation. Ethos Vapors is committed to developing products and brands that can withstand the test of time, ensuring longevity and mass appeal. The core responsibility of Ethos Vapors is to deliver a valuable and meaningful consumer experience throughout the global marketplace. The Ethos Vapors premium vape juice brand will continue to evolve and expand to further our ability to enhance the connectivity to our consumers worldwide. Blueberry Crispy Treats brings you the delightful taste of marshmallow gooey goodness. This flavor is so light yet intense that your mouth will water at the mere thought of it. As you inhale Ethos Vapors Blueberry Crispy Treats, the intoxicating taste of sweet of crispy treats hits your taste buds exciting them to the max. As you exhale, the blueberry taste combines with the crispy treats taste creating the most satisfying sweet treat you’ll ever taste. Who doesn’t love the taste of fruity cereal and gooey melted marshmallows? No one. 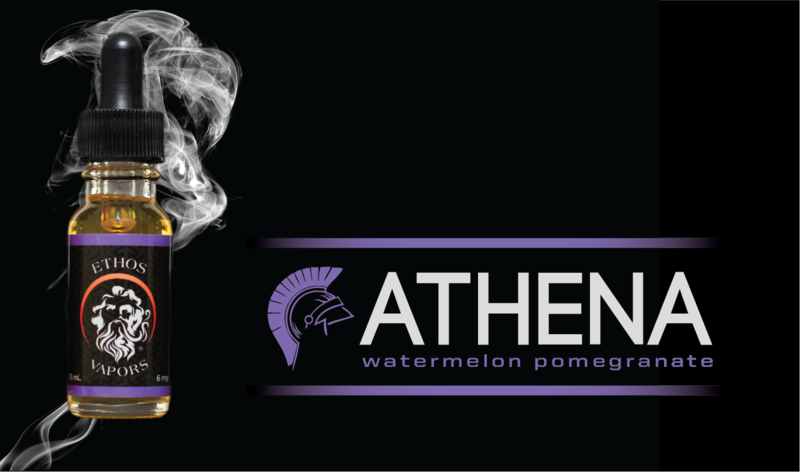 This addicting vape juice by Ethos Vapors is sure to satisfy every last craving of your sweet tooth and leave you feeling so content you won’t be able to stop smiling. As you inhale Ethos Vapors Fruity Crispy Treats, the taste of fruity cereal hits your taste buds, awakening them in the best way. As you exhale, the ooey-gooey taste of marshmallow fuses with the fruity cereal creating something that you won’t ever want to put down. Green Apple Crispy Treats is a uniquely crafted dessert flavor of a traditional homemade rice crispy treats topped with light sugar and cereal flavor. The delicious sweet frosted green apples baked crispy treat and then topped with marshmallow. It’s just like how mom used to make it. Ethos Crispy Treats captures each flavor note perfectly with an inhale of Granny Smith apples and finished smoothly with marshmallow cereal. Get ready for the sweet treat of a lifetime. This recreation of a rice crispy treat with a strawberry twist will have your taste buds throwing a party in your mouth. As you inhale Ethos Vapors Strawberry Crispy Treats, your taste buds will be greeted by the mouth-watering, spine chilling taste of gooey rice crispy treats. This flavor is so on point, you’ll be seeing stars. As you exhale, the strawberry flavor mixes in creating a sweet treat that is to die for. Ethos Vapors brings you those fun crispy sweet treats that you desire with no added guilt and best of all, no calories. Ethos Crispy Treats vape juices deliver such an authentic taste, that you won’t be able to believe it’s actually a vape juice.